Syscomcraft is the best for seo services Indiaand beyond and it is so because it understands real objective of search engine optimization. Achieving high ranking is no longer remains the objective of optimizing sites but getting targeted traffic is. Keywords research: It is the start of optimization process as search engine spiders notice keywords and also the visitors search information using keywords. Only a few seo services company in India including Syscomcraft can do research on keywords. Organic search: Promotion of websites using informative and keyword rich content gives excellent results overtime. Sites start coming in organic search and soon become popular. On-page SEO: When content is accessible to search engines, websites get noticed and indexed by content hungry search engine spiders. Our team is always looking for solutions to highlight web presence and boost performance of sites. Link building: The best way to keep search engines engaged is to build links and also it has far reaching impacts as every back-link is counted as vote by search engines. Activity reports: Clients are always waiting for SEO reports that we call report card of activities successfully completed in a certain time frame. 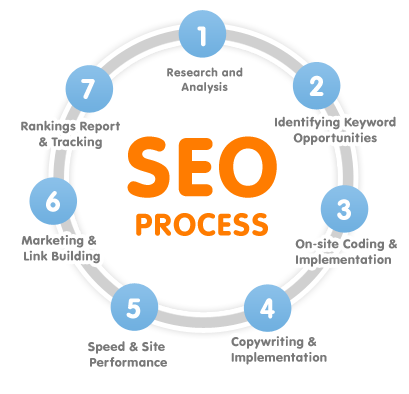 It is the policy of our seo company Indiato keep clients updated and informed on the activities and results achieved. Customized service: No two sites are equal even when they are competitors. We make SEO plans after studying websites, assessing competition and present search engine ranking of the sites. And our efforts are to provide customized services matching with individual needs of the clients. SEO plans: We have plans for every need from budget monthly plans to affordable half yearly plans. We are leading in seo in India and beyond just because our ability to serve needs and give expected results.